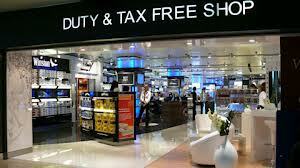 New Delhi:(Page3 News Network)-There is no concept called Tax Free Zones as such in operation. However, there are schemes like Special Economic Zones (SEZs) and Export Oriented Units (EOUs) which provide tax exemptions. Both above schemes are administered by the Department of Commerce. In addition to above, package of incentives for the Special Category States of Jammu and Kashmir, Himachal Pradesh, Uttarakhand and North Eastern States (such as Arunachal Pradesh, Assam, Manipur, Meghalaya, Mizoram, Nagaland and Tripura) are provided by the Department of Industrial Policy & Promotion under its Industrial Policy. Package of incentives provided to above States also include various tax concessions as per notifications issued by the Department of Revenue. Presently there is no proposal under consideration of the Ministry of Finance to declare certain areas as tax free zones. This was stated by the Minister of State for Finance, Shri S.S. Palanimanickam in a written reply to a question in the Lok Sabha today.